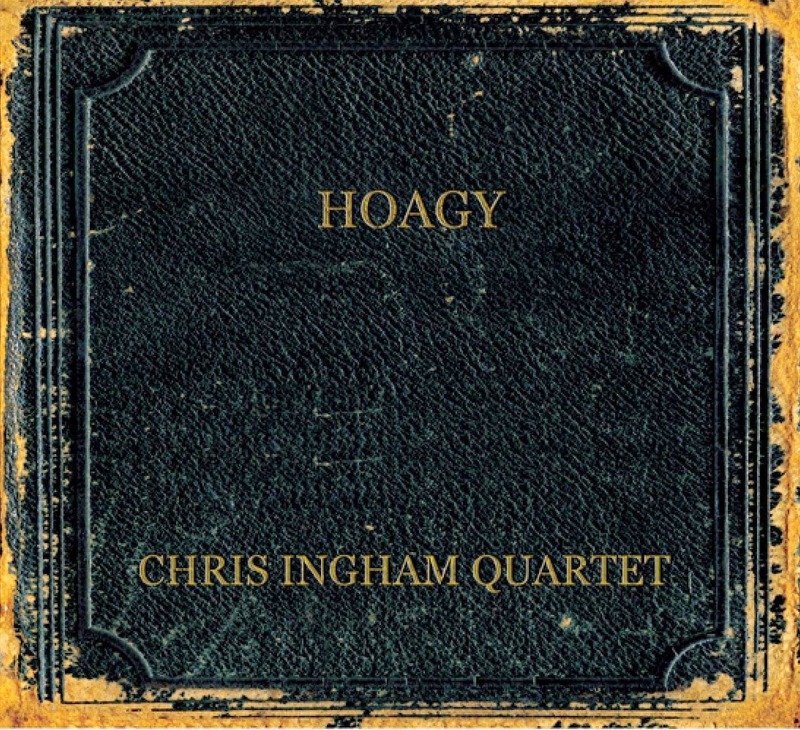 bebop spoken here: CD Review: Chris Ingham Quartet - Hoagy. Chris Ingham (pno/vcl); Paul Higgs (tpt); Rev. Andrew Brown (bs); Russ Morgan (dms). No offence ladies - I loves y'all - but it is such a treat to have a male vocalist invading your, what sometimes seems to be, overpopulated ranks. That Chris Ingham also plays mighty fine piano is another bonus but the icing on the cake is the material - Hoagy Carmichael. Unlike the Broadway Grandmasters of popular song - Kern, Berlin, Porter, Rodgers and Gershwin - whose music was ultimately taken from the quasi operatic settings of the composers and enhanced by jazz musicians and popular crooners, Carmichael's classics were aimed at the jazz and popular market from the moment he put pen to manuscript paper. Add Hoagy's laconic vocal presence and his sympathetic piano and you have the composite all-rounder. Fast forward to 2014 - enter the Chris Ingham Quartet. Whilst imitation may be the sincerest form of flattery, and there is plenty of sincere flattery here, this is no mere hanging on the shirt-tails of the great man. Ingham has his own personality vocal-wise and his piano playing is marginally more contemporary without losing the flavour of the originals. Higgs' trumpet playing, whether open or using a variety of mutes, slots nicely into the idiom. Perhaps if Bix had lived longer he may have went in this direction. On Bixian matters, my favourite track wasn't actually written or even recorded by Hoagy. Dear Bix was composed by Dave Frishberg. Dedicated to the late charismatic genius Bix Beiderbecke it is one of the most emotional pieces I've ever listened to. If we could shift time scales around I think Hoagy would have sung this at Bix's funeral. It almost had me in tears such was the emotive content. It's not a tune you hear too often - Roly Veitch does a fine version. Next time you're at Blaydon ask him nicely! The other Carmichael classics on this outstanding CD are - Riverboat Shuffle; Washboard Blues; Old Music Master; Memphis in June; My Resistance is Low; Lazy Bones; Hong Kong Blues; How Little We Know; Old Man Harlem; Baltimore Oriole; Old Buttermilk Sky; Skylark; Huggin' and Chalkin'; Georgia on my Mind and Stardust. Special mention also of bass and drums who provide the perfect underpinnings. Perhaps Rev. Brown received spiritual guidance or maybe he just practiced in between sermons. Morgan, no relation to the bandleader who recorded So Tired many decades ago, may not have been tired but he is certainly relaxed. Final accolade. The contrived antiquity of the CD cover is just so appropriate. The CD: Chris Ingham Quartet - Hoagy is available from March 14, 2014 on Downhome Records.